Honestly, I don't read many "ghost stories," they never really interested me much, but I have to say, I really enjoyed this one. I had absolutely no idea what I was getting myself into when I started it. 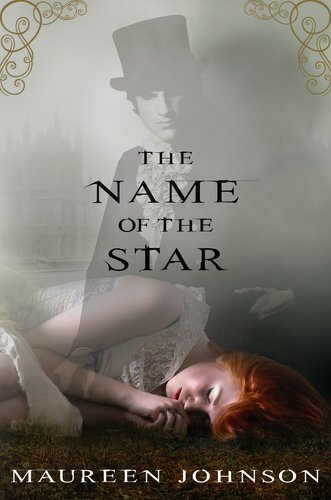 I had heard nothing about Name of the Star when Andye asked if I wanted to listen to the audiobook, so I, for some reason unknown, agreed to listen to it without reading any sort of summary or anything, and I have to say, I'm so glad I did. Going into the book without knowing it's supposed to be creepy makes it ten times more so. I went back to Andye and told her that it freaked me out a little bit, she looked at me confusedly and said, "Uhhh, yeah, it's supposed to." Everything made a lot more sense after that. Long story short, I loved it, and I loved going into it not knowing what to expect. The Name of the Star was suspenseful and eerie, and although I thought a few of Rory's decisions were pretty dumb, I would still definitely recommend it to anyone who wants a spooky read. I like the sound of "solid stand-alone"-we need more of those even if more books do come later. I'm a little bit tired of cliffhangers. I have it in the shelf waiting to read. Your review cheers up more!! I'd love to read this one. And yes, it's nice to see a standalone! I really enjoyed this book. I am really interested to see where the story goes. I agree it would have been a great stand alone novel, but I am really curious to see how the series will be. The ending was pretty awesome. Can't wait for The Madness Underneath to come out. I haven't read many ghost stories either. I'm going to have to check this out! I'm not big on ghost stories either, but I loved this one. Maureen Johnson is AMAZING, and she did a great job with this book. So glad you liked it too! !